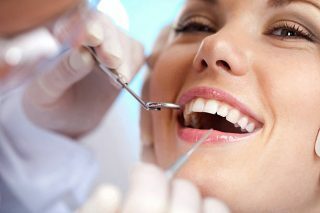 Dentist in sharjah – best dental clinic in Sharjah. With a passion for healthcare, Dr Zareena Moorkan started Al Lulu Medical Center in Sharjah in 2001. The center is committed to the achievement and maintenance of excellence in healthcare since its inception. We have a well-experienced General Practitioner. She has a work experience spans 20 years in well-known hospitals and medical centers in India and abroad. Al Lulu Medical Center has Best dentist. invisalign. dentist. braces. root canal. wisdom teeth. Affordable dentures treatment. Teeth whitening and veneers. Dental implants. Lumineers. Invisalign cost. Pediatric dentist. Wisdom teeth pain. and tmj treatment. Al Lulu Medical Center offers tooth extraction. cosmetic dentistry. tooth pain. dental implant cost. dental post. best teeth whitening impacted wisdom teeth. dentistry for children. dental plans and tooth decay. Family dentistry. Teeth whitening products, veneers cost. porcelain veneers, are our other forte.